Shortlisted for the BBC Samuel Johnson Prize for Non-fiction 2011. Life is on the up. Shortlisted for the BBC Samuel Johnson Prize for Non-fiction 2011. Life is on the up. We are wealthier, healthier, happier, kinder, cleaner, more peaceful, more equal and longer-lived than any previous generation. Thanks to the unique human habits of exchange and specialisation, our species has found innovative solutions to every obstacle it has faced so far. 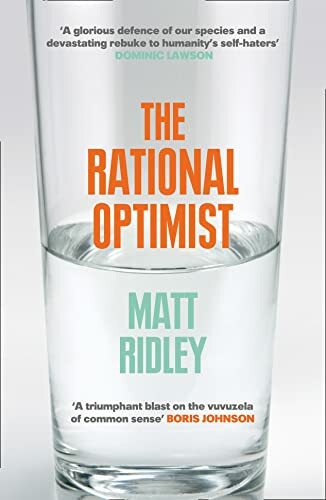 In `The Rational Optimist', acclaimed science writer Matt Ridley comprehensively refutes the doom-mongers of our time, and reaches back into the past to give a rational explanation for why we can - and will - overcome the challenges of the future, such as climate change and the population boom. Bold and controversial, it is a brilliantly confident assertion that the 21st century will be the best for humankind yet.